Bi-vocational author, writer, pastor, entrepreneur, developer, and catalyst. Rohadi is a Canadian who has called Calgary home for over three decades. He holds a wide range of expertise beginning with his BA in Economics from the University of Calgary, and a Master in Divinity from Ambrose University. In the areas of church planting, missional thinking, and imagining church revitalization, he is both a practitioner and thought leader. He has planted two churches, the most recent an inner-city multi-ethnic expressions called Cypher Church. He has written extensively in the area of missions and church revitalization, calling the institutional church into new thinking and practices. This includes his book, “Thrive”, this blog with over a decade of articles, and his articles around the web for organizations including Sojourners, V3, New Leaf Network, and Mosaic Ministries. His most recent work includes expertise in the areas of building diverse communities. As a multi-racial leader with Trinidadian, Chinese, and Japanese roots, he is aptly positioned to both develop emerging leaders of colour, and work with organizations seeking to improve diversity. His experience extends into the non-profit sector in both governance and organizational development. His primary non-profit work includes a current role with a provincial NGO working to end human trafficking. He also provides oversight to various organizations re-imagining leadership development in the church. For his entire career, Rohadi has operated in a bi-vocational (usually more than two!) capacity. His private sector experience includes running a marketing consultancy firm for over 15 years. Contact me for details about your event on church planting, diversity, and innovation. 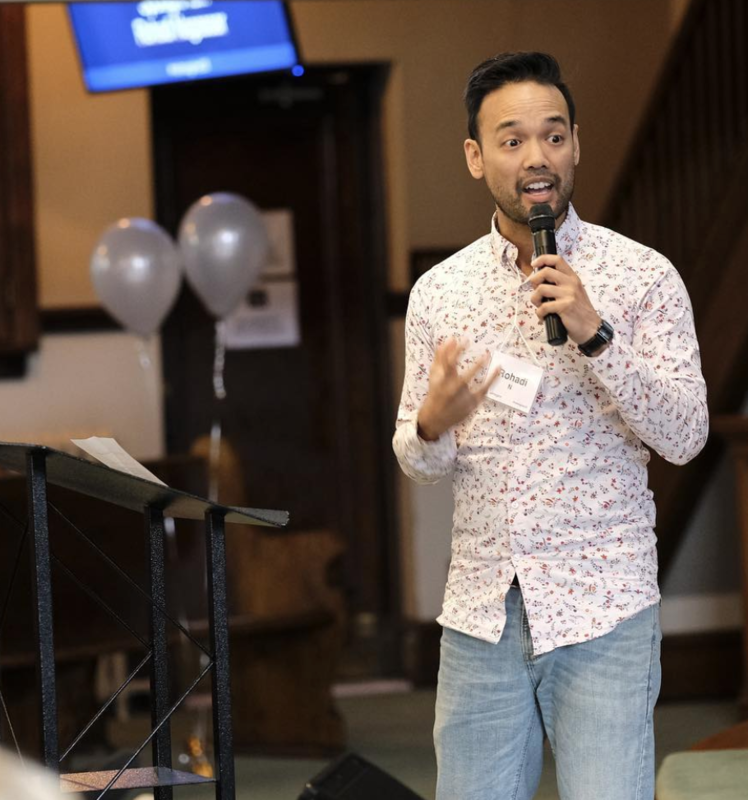 Rohadi provides consultancy and speaking in a number of different areas including church planting, race and reconciliation, and non-profit development. Submit a request using the form below.